EVANSVILLE, Ind. — Regarded as perhaps a taller version of Bosse superstar Mekhi Lairy, Khristian Lander appears to be a can’t miss prospect. The 6-foot Reitz High School freshman already is blessed with great genes. “I think he is a really special,” said Reitz boys’ basketball coach Michael Adams. “He can shoot the deep 3 and get to the rim. He is so quick. He can even score in the post. He is explosive and athletic. You can see his potential. “He reminds me a lot of Mekhi Lairy. There have been some really good freshmen in our league. 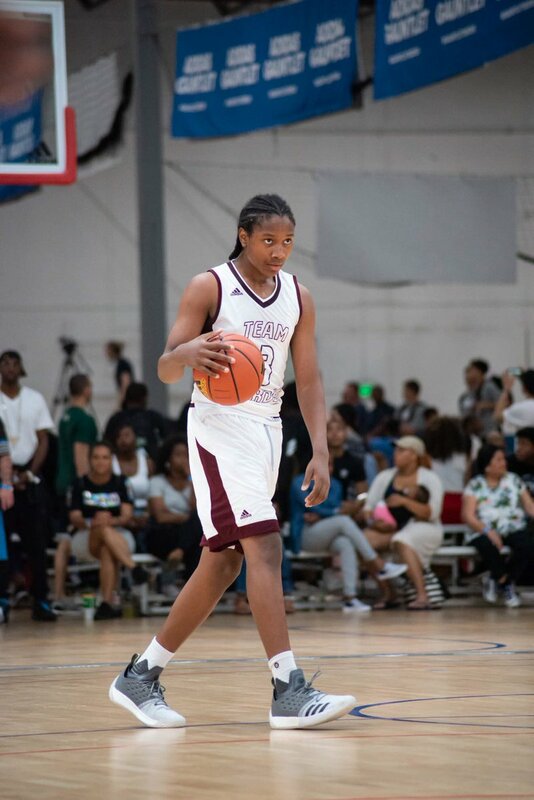 ATLANTA -- Class of 2021 point guard Daeshun Ruffin received his first major Division I offer from Ole Miss, and it appears the talented guard will be one to watch down the road. Ruffin played up with the U17 MEBO team on the Nike EYBL for session 3 and navigated the floor well against the older players. Ruffin averaged nearly 12 points per game in the three games he played and said he might continue to play up a division this summer. Ruffin told Rivals.com his dream schools are Duke and Kentucky, and if he's competing with the U17s this early on in his career, those blueblood offers might start rolling in down the line.